Molson launches in Ireland today, in The Bailey, central Dublin. 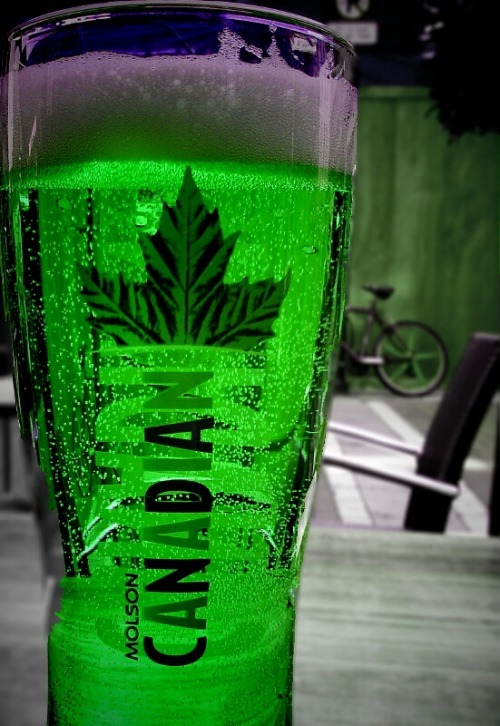 Great Canadian lager with a crisp clean taste. Just been in there having a few pints of it whilst they go through the press launch and have a few cool photos taken (the bar is kitted out with a moose's head and gorgeous white wolf). Here's my entry for the competition they were running to snap a pic to celebrate their launch. I even managed to get the compulsory bicycle in the shot (as every Irish-themed pub would have me believe).